Now playing in limited release is director Jason Reitman’s (Up in the Air) great new movie, Young Adult. Written by Diablo Cody (Juno), the film centers on an alcoholic young adult novelist (Charlize Theron) who ventures back to her hometown in order to pursue her now-married high school boyfriend (Patrick Wilson). 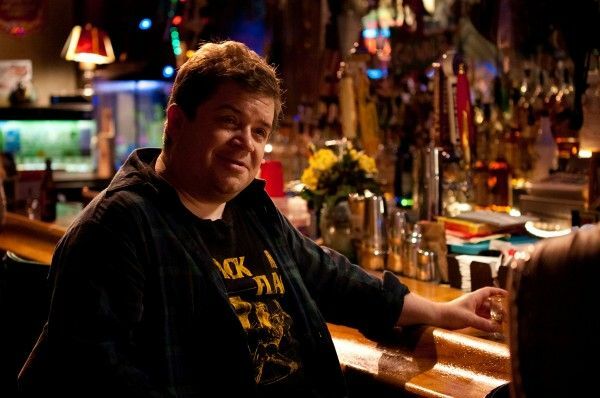 Patton Oswalt co-stars as Theron’s former classmate. While Young Adult could have easily taken the familiar steps of “bad person goes home and turns everything around”, I’m happy to report Reitman and Cody have crafted a unique movie that should not be missed. It’s definitely one of my favorites of the year and I’m pretty sure Theron is going to get a nomination for her portrayal of Mavis Gary. Watch the trailer here and some clips here. Anyway, I recently got to speak with Cody in New York City. During the interview she talked about the way she writes, how the idea for Young Adult came about, her karaoke song, what she’s learned about Hollywood over the past few years, and her relationship with Jason Reitman. In addition, with Cody having worked on the remake of Evil Dead, she talked about what her work on the project entailed and calls the script “unbelievably violent.” Finally, I got an update on her directorial debut and a script that’s so autobiographical and personal that she wants to wait ten years before it’s produced. Hit the jump to read or watch the interview. Her “sweet spot” of writing time is usually from 11am to 4pm. Her material isn’t autobiographical, but it’s personal. There isn’t one specific person that Mavis (Charlize Theron) is based on in Young Adult, but the film is a reflection of Cody’s darker self. Young Adult came out of writers block. She was hired by a studio to write something else, and she ended up “having a side affair” with Young Adult which she really enjoyed. Young Adult also came out of writing Sweet Valley High. While she was writing the feature adaptation of the famous teen series, she got to thinking about all the women who wrote the Sweet Valley High novels under one pseudonym. She figured that would be a good job for Mavis to have. Her polish on the Evil Dead script was mainly dialogue and character work. She’s written a script that’s so autobiographical and personal that she wants to wait ten years before it’s produced, because it’s too fresh for the people involved in the story. Her directorial debut will be shot digitally. As I said, I’m offering the interview two ways: you can either watch the video below or further down the page is the full transcript. Young Adult is now playing in limited release. Collider: What’s your go to karaoke song? Diablo Cody: Oh my gosh, “Gloria” by Laura Branigan. Have you been caught on YouTube doing this? Cody: Oh, absolutely not. [laughs] I don’t have a terrible singing voice, but I also wouldn’t call it “good.” I can carry a tune. Cody: No, I have a huge repertoire. I love karaoke. Do you have a place in LA or New York? Cody: Here’s the thing, I used to do it primarily in Minneapolis. In LA, I go to the Maui Sugar Mill Saloon in Tarzana. I don’t have a place in New York. Somebody took me out here once, but they took me to one of those places where it’s like a private room. I am a karaoke purist and I don’t like that. I don’t think it’s enough for you to just be there with your friends singing. I think you need to be in front of a crowd of hostile strangers for it to truly count. You’ve been in Hollywood for a number of years now. What do you think is the big lesson you’ve learned over the last few years, if there is one lesson you could tell aspiring writers? Cody: Well, to aspiring writers, I would tell them that we live in a wonderful time where you’re able to make your work visible, easily. If you think about it, even ten years ago or twenty years ago, there was a middle man, there was a publisher, there were studios, there was this world of rejection letters. Now, we’re in a place where we have the technology and the ability to go shoot our own movies or to put stuff on YouTube or a blog, if you’re a writer, or self-publish. There are so many things that you can do to get your work out there now that doesn’t require permission or a benefactor or a patron. I was going to joke about a patron. Cody: [laughs] Yeah, there used to be gatekeepers and there aren’t as many anymore. Now what about getting films made. Has anything changed in the last few years? What have you learned in the process of getting a few films made? Cody: You have to understand that I was starting at a level of zero knowledge, total idiocy. I had no idea of what I was doing. I acted the fool. When I first came here, I didn’t know anything about act structure, I didn’t know anything about politics, I didn’t even know how to talk to people, I didn’t know how to talk to the press. I was just a jester. [laughs] And I still feel that way. But, I mean, what haven’t I learned? Everything that I know is new information because I was starting with nothing. The one thing I have found about Hollywood is it’s a town full of people who believe in themselves, often to a degree where they’re what you would call “delusional.” “I’m going to do this. I’m going to do that.” And they’re so sure of themselves. You have to remember that those are the people you’re competing with, so you have to be confident and ballsy too, even if that’s not your nature. It isn’t mine; I’m a pessimist by nature. I don’t think things are ever going to work out, I’m not particularly ambitious. But in LA I realized that I kind of have to up my game because I’m surrounded by people who, A) will stop at nothing to get things accomplished and B) genuinely believe that it’s going to work out. A lot of people talk about the “Golden Period” of writing, whether it be from 9 to 1, 2 to 5, at night…what’s your typical process? Cody: I can’t write at night. For me, I’m programmed to believe that nighttime is for relaxation. I hear that 5 o’clock whistle in my mind like Fred Flintstone and I have to stop. I’m also not much of a morning writer. I have a sweet spot from about 11am to 4pm. But I really work during that time. Like no emails, no Twitter, no anything? Cody: I try to avoid Twitter. I occasionally can’t resist the siren call of email. A lot of people talk about “writing about what you know” and that’s the best writing. How autobiographical are the things you’ve been writing, from real life moments or people you know, like it’s a caricature of a person, and how does that apply to Young Adult? Cody: The things that I write are autobiographical in a surreal sense, like when you have a dream and you go to the doctor’s office, but then you turn around and it’s actually your childhood home and the doctor has turned into Ryan Reynolds. You know what I mean? You have these dreams that are about an essential truth in your life, but they’re also just totally garbled and creative and strange. The stuff I write isn’t strictly autobiographical, but it’s personal, if that makes any sense. It draws all these little incidents and people out of my life and then contorts them. 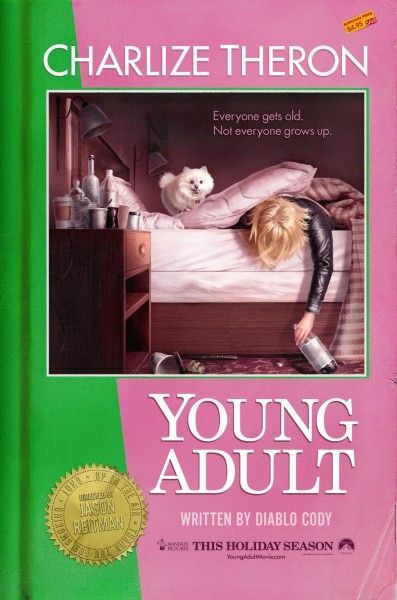 For instance, there’s not one specific person that I base Mavis (Charlize Theron) on or that I base Juno on, but Young Adult is a personal story in a way that it was a reflection, for me, of my darker self. Mavis is a young adult writer; I write about teenagers, or at least have up until this point. Mavis grapples with certain compulsive behaviors; I’ve done the same. I do have certain things in common with her, but I certainly wouldn’t head back to my home town and try to break up a marriage. If I’m not mistaken and I could be very wrong, I believe Patton [Oswalt] said that you might have started writing this during a writer’s block period on something else. I have to ask if it was trying to write Sweet Valley High. Cody: [laughs] Here’s the thing. I finished Sweet Valley High and I’m really proud of it and Sweet Valley High is moving forward. It is in development right now and I really hope that it’s going to get made. I will say that while writing Sweet Valley High, I did find myself…you can only take so much of Todd and Lila and Elizabeth and these bubbly characters who have very superficial problems. And I did start to think to myself, “Man, I wonder what the inner lives were like for the women who wrote these books.” Because, the Sweet Valley High series was written by a bunch of ghostwriters, basically; all under the name of the woman who created the series. Then I started to think that that would be a good job for Mavis and so they are kind of companion pieces in a weird way. I definitely want to ask, were you writing both at the same time or near each other? I’m always a fan of hearing about pranks on set. Have you ever been a part of pranks on set, or have you heard a great story about a prank on set? Cody: Well, we all know the classic George Clooney story about the cat litter box, right? I believe there are people who have not heard it, but I definitely want to ask if you’ve been part of one. Cody: I personally have not. And honestly, I’ve never even seen a great set fight or a great set meltdown. I seem to always be on these incredibly relaxed sets and probably part of it is Jason Reitman, having done two features with him. He’s like the most laid back guy. He makes a concerted effort to stay mellow, he doesn’t yell. It always feels like a bunch of friends have gotten together to make a movie when he’s there. I have to say, I’m interested in prank stories as well, so I wish I could say yes. How much are you on set when Jason is filming? Does he want you there a lot? Talk about that working relationship, because you guys clearly have a great working relationship. Cody: Jason is fantastic and he’s really generous in a way that a lot of directors aren’t with writers. I have a lot of screenwriter friends and many of them have had an experience where they aren’t even welcome on set during production, whereas Jason is always, “Come on down!” He’s happy to have me there. If I’m there, he’ll use me as a resource. He’ll ask me questions about what we’re shooting. I love that. I got to do more of it during Juno. In this case I did not spend a lot of time on set because I just had a baby, so I was at home being a responsible parent. But I did visit. 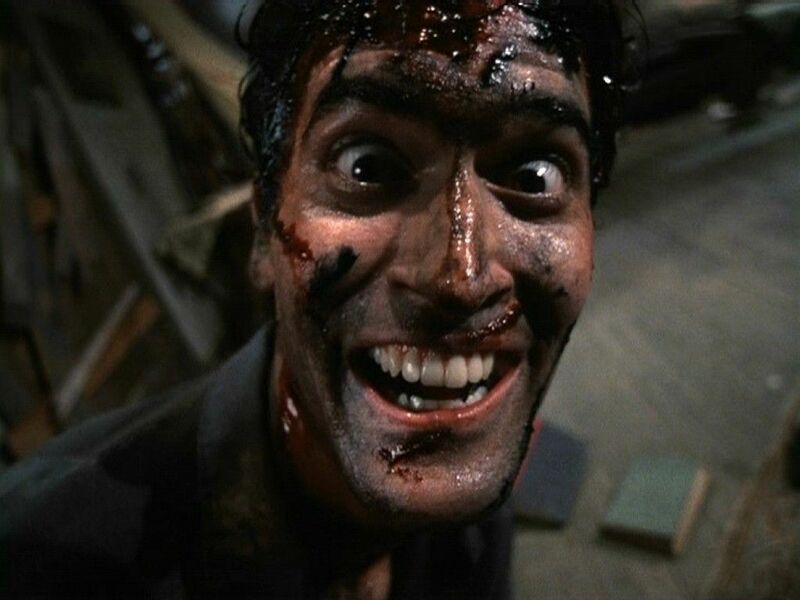 If I’m not mistaken, you did a draft or wrote the Evil Dead remake. Cody: I did a draft. I did like a polish slash rewrite on the pre-existing, excellent script by Fede Alvarez. Do you know if the draft that you submitted is the one they’re shooting with? Cody: I’m not 100% sure. I guess it’s possible that that’s the one, but for all I know they could have commissioned another rewrite, you never know. Are they shooting right now? Cody: I think it’s going forward. I’m really excited to hear about it cause it was fun to work on. When you worked on it, were you on it for a few weeks, was it a few months? And talk a little bit about working on it, cause this is a huge property for so many people. Did you add or be a part of any gruesome R-rated death scene? Cody: Because the director’s draft was really scary, I tried to stay away from some of the big horror set pieces. I didn’t wanna mess with his vision, because he’s the one who ultimately has to shoot it. That being said, there is a moment near the—I mean it’s unbelievably violent (laughs). Occasionally I threw in a wound here or there. I didn’t write anything extravagant. So did you sort of do a pass on dialogue and character stuff? Cody: Yes. And once again, I did not do like the standard dialogue people associate with me at all. I did very naturalistic dialogue that I felt would serve the story. Are you the type of person who has a lot of drafts of scripts that are unproduced in a desk? Cody: Yes. I write all the time and so much stuff never sees the light of day. Is there something in the desk that you know, at some point, is definitely going? Cody: I don’t know if I would ever say definitely, but I wrote something that is so autobiographical and so personal that I want to wait at least ten years, because the people who are involved with the story…it’s just too fresh. Is your first draft typically like most people’s fifth draft? Cody: No, I do a nice sloppy first draft like everybody else. And then just work at it and work at it and groom it. I get input from other people. You’re getting ready to go behind the camera. So I think the big question of course is, have you asked Jason to be your first AD? Cody: [laughs] You know what? I wish he could be on set every single day as just some kind of shadowy advisor. It’s funny, I keep joking that I’m in Jason Reitman Film School, because I keep asking him questions every single day about directing and I have a list of things that he’s told me to do and not do and I definitely couldn’t learn from a better person. Are you shooting on film or digital? For people who are not familiar with the project, talk a little bit about what it’s about and also, why this one as the one that you’re going behind the camera with?